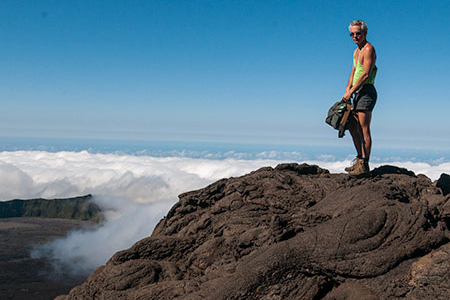 From Stainte-Anne we went to the shield volcano Piton de la Fournaise that is still active. But there was no sign of activity when we were there. On the road to the volcano's summit. It ends at the parking at Pas de Bellecombe. 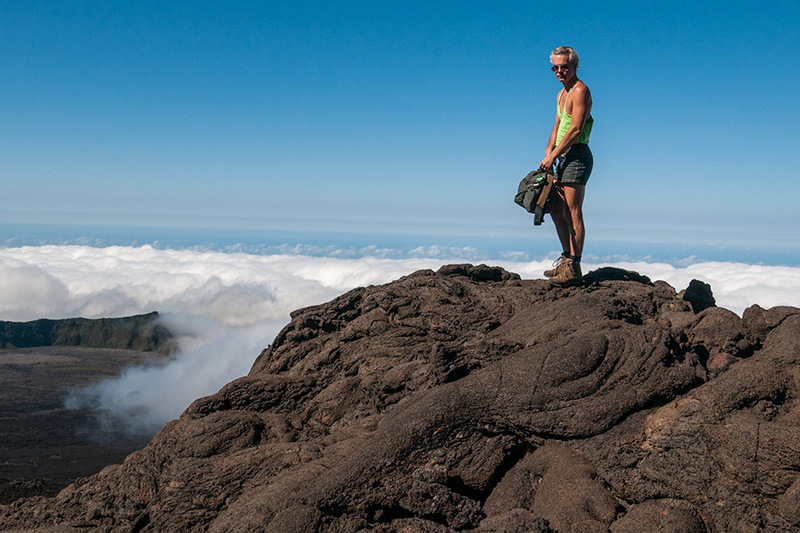 Hiking to the main crater of Piton de la Fournaise. To a small old crater with a crater lake.